Fiona Power studied at Sligo IT from 1984 to 1988 – one year of Visual Education and three years of Fine Art, majoring in Painting, Photography and Print. Fiona was a founder-member of the Pigeon Loft Studios in Sligo and a member of the Backwater Artists Groups when she lived in Cork city. She now paints under her married name from her home in Durrus, West Cork, where she lives with her family. In her earlier years, Fiona’s unique and emotional treatment of atmospheric seas and landscapes became one of the defining characteristic of her work, capturing the ever-evolving skies and seas of the north-west in her paintings. 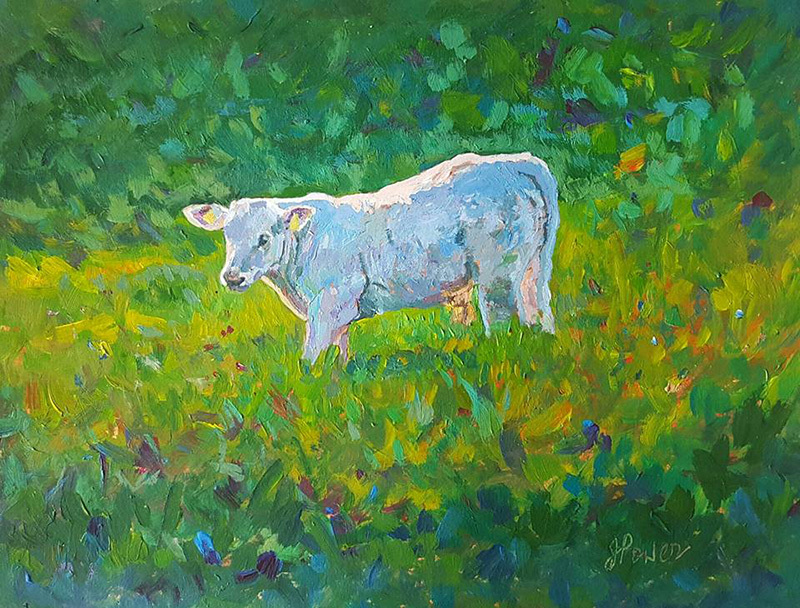 Having moved to West Cork and with a growing family, Fiona also found inspiration closer to home, painting scenes that depicted the serene moments of everyday life. Throughout it all, Fiona’s work has always featured the recurring theme of capturing the ever-changing light and mood of the sea. Her current work marks a return to the broad, looser strokes, creatively using colour as a conduit to express light, atmosphere and feeling. Fiona’s work is held in many private collections worldwide and is part of the Bank of Ireland National Collection.